What’s involved in a Vascular Health Screening? Vascular disease is a broad term that describes a number of conditions of the circulatory system that affect millions of Americans each year. Vascular diseases range from diseases of the arteries, veins and lymph vessels, to blood disorders that affect circulation. When disease occurs in the arteries, less blood is delivered to the tissues, reducing the oxygen and nutrients needed by the tissues of the body. Types of vascular disease include coronary artery disease, peripheral artery disease (PAD) and peripheral vascular disease (PVD). Doppler and Ultrasound (Duplex) imaging: is a non-invasive method that visualizes the artery with sound waves and measures the blood flow in an artery to indicate the presence of a blockage. Angiography: This procedure is generally reserved for use in conjunction with vascular treatment procedures. During an angiogram, a contrast agent is injected into the artery and X-rays are taken to show blood flow, arteries in the legs and to pinpoint any blockages that may be present. How should a patient prepare for a vascular screening? Write down any symptoms you’re experiencing, including any that may seem unrelated to your condition. Make a list of all medications, including OTCs (over-the counter), vitamins and supplements that you’re taking. What are the risks and benefits of the tests and the treatment plan you recommend? Are there any diet or activity restrictions that I need to follow, either for the tests or the treatment? 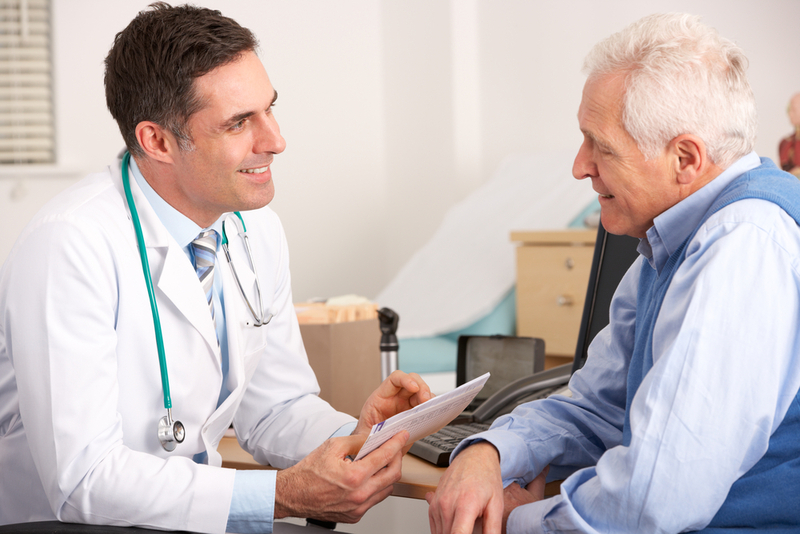 Should I see a specialist, and if so can VCU Baird Vascular Institute recommend a specialist? What is the cost of the tests and the treatments? What websites do you recommend visiting for more information about my condition? Malcolm K. Sydnor Jr., M.D. 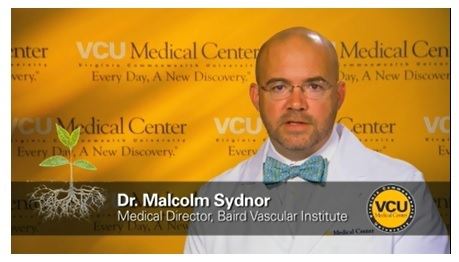 As the Director of Vascular and Interventional Radiology at VCU Medical Center, Dr. Sydnor is an integral part of the VCU Baird Vascular Institute care team. He specializes in the diagnosis and treatment of varicose veins and peripheral arterial disease as well as placement of port-a-caths for long term central venous access. Dr. Sydnor uses imaging guidance to perform minimally invasive treatments. Therefore treatments that used to require major open surgery can now be performed through small incisions without the need of general anesthesia. Recently, we asked Dr. Sydnor about his work at VCU Baird. Here’s what he had to say. What is the best part of working at VCU Baird? Being able to help patients using advanced technology in the comfort of an outpatient facility. Seeing patients after you have helped them with their problem and they are excited and happy to have their problem fixed. Why is VCU Baird unique? We have experienced academic experts available to patients in a comfortable community setting. And VCU Baird also offers multiple disciplines working together to make sure patients get the best care possible for their vascular disease It’s also wonderful that we have a plentiful support staff whose major priority is creating a comfortable customer-friendly environment for our patients. Dr. Sydnor also serves as Associate Professor of Radiology and Surgery at VCU Health System and Medical Director of the Baird Vascular Institute. He earned his M.D. from VCU, completed his residency at VCU Medical Center and finished his fellowship at University of Virginia. With our friendly, comfortable outpatient environment and skilled physicians with academic expertise, VCU Baird Vascular Institute offers excellent vascular care without the overwhelming experience of a large hospital. For more information, please call (804) 828-2600 (804) 828-2600 or email bairdvascularinstitute@mcvh-vcu.edu.